Why yes, that IS a giant pot of lentils. You can see for yourself at the National Lentil Festival in Pullman, Aug. 18-19. MUSIC | The Bartlett hosts a fine way to kick off your work with a show featuring Newman, Dancing Plague of 1518 and Walker. COMMUNITY | It's a Spokane Parks Free Swim Day at Comstock Pool, so get out there and get splashy, people! Summer's a-wastin'. Hit that link to see what day is free at which pool. WORDS | Washington Sen. Maria Cantwell is hosting a town hall at Gonzaga, so get tickets if you can, or figure out a way to watch/listen to the action. COMMUNITY | Head to David's Pizza to celebrate the 20th anniversary of a community effort to incorporate Mt. Spokane ski area as a nonprofit. WORDS | Garrison Keillor brings his wry sense of humor and Love & Comedy tour to the Fox. Read our interview with the man right here. THEATER | Million Dollar Quartet continues its run at the Kroc Center in Coeur d'Alene. Read our story about the show and then check it out. You can't beat the music filling this energetic production. COMEDY | Michael Ian Black begins his three-night stand at Spokane Comedy Club tonight. Watch for our interview with him in the new issue of The Inlander. BEER | Take an Acid Trip with Jeffers Richardson as the Firestone Barrelworks barrelmeister explores acidity in sour beers. It's at the Blackbird, and you'll want to call and make a reservation. 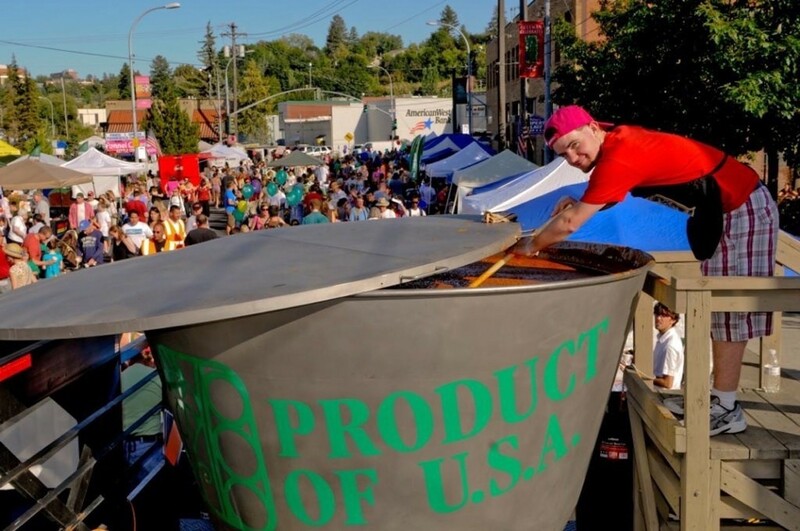 FESTIVAL | The National Lentil Festival returns to Pullman today and Saturday. It's a soup-lover's delight. BENEFIT | Some local musicians are raising money for the Salish School of Spokane with a hard-rocking punk show at Mootsy's featuring Askevault, Effluvia, Mala Vida and Sentient Divide. THEATER | The Blue Door Theatre does it Once More With Feeling, a revisiting of favorite shows from the theater's past 20 years. BEER | Pints Alehouse is hosting a Sour Fest, so if tart beers are your jam, head north!